On the back cover of this picture book we are told that it is 'Suitable for Nursery and Early Years Education/Scottish Guidelines English Language, Level A'. Well, small fingers could certainly lift the flaps to discover very unthreatening little creatures going 'Hoo-hoo-hoo!' or 'Haa-haa-haa!' and readers would probably oblige with a small shriek when, like the bat in Pienkowski's Haunted House, a ghost leaps up and out of the final opening to shout 'Boo!' 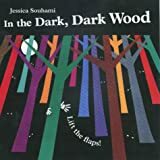 It is also a very easy text to join in with for there is much repetition in this developing 'spooky story' of dark, dark woods, dark, dark houses, dark, dark rooms and so on. 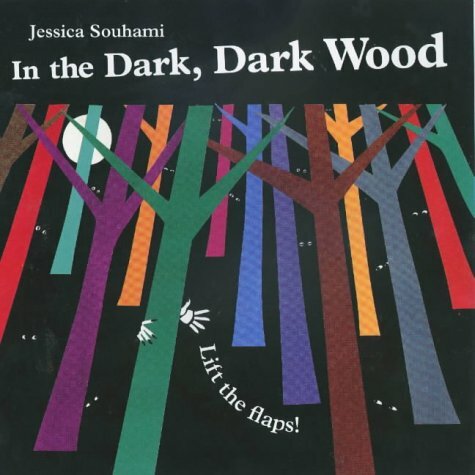 In a nursery class or when fulfilling the Scottish Guidelines, however, using the physical book would be at most a one adult/two-or-three children experience if the youngsters themselves are going to open the flaps. Pausing to do so breaks up the rhythm of the language, so that my question really is about whether the pictures and the flap lifting actually add anything to this well-known tale which, I think, used to be popular as a told story among groups such as cubs and brownies. If you simply tell the tale, letting the mind's eyes of the listeners conjure up the various spooks and allowing the insistent beat of the language take over the very bodies of the listening group (the Hoo-hoo-hoos and the Haa-haa-haas demand to be chanted), you build up together to the climactic 'Boo!' and a delicious, noisy and comfortable shudder. And corporate shivering is sadly neglected in the National Curriculum, and possibly even in the Scottish Guidelines.